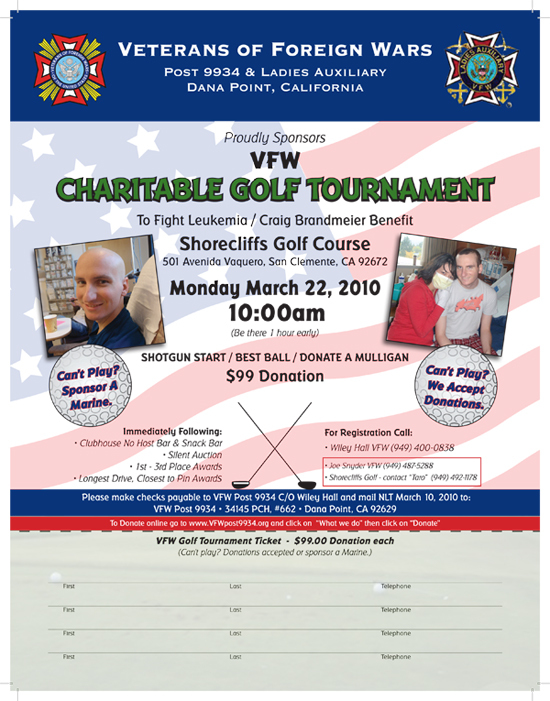 The local Veterans of Foreign Wars Post 9934 will host a charitable golf tournament March 22 at Shorecliffs Golf Course in San Clemente to help raise money for Craig’s medical bills. Please feel free to look me up on Facebook or let me know how to liked the episode! Previous Previous post: Have you registered yet?